With a top-notch air filtration process, a lovely design and a handful of great features, Rabbit Air MinusA2 is the successful attempt of this brand to capture the title of the best air purifier in 2019. It’s a big jump from the previous Rabbit Air BioGS 2.0 and a worthy rival with even big guns in high-range air purifier segment. Today, we will make a Rabbit Air MinusA2 Review to see why this air purifier can secure the title of Best Air Purifier in this year. Rabbit Air is one of the leaders in air purifier industry since 2004. Given that title, this brand is trustworthy to many people, and their signature product Rabbit Air MinusA2 is no exception. 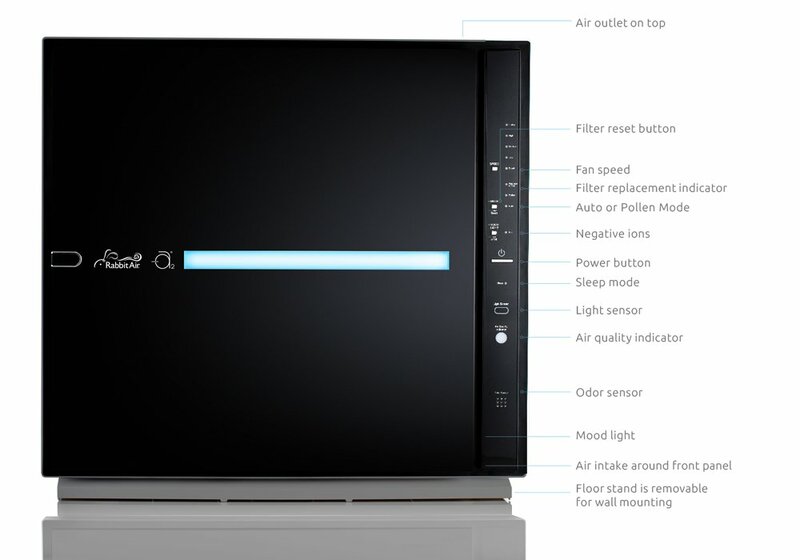 If you’re on the hunt for a high-end air purifier with perfect air filtration system and lots of advanced smart features, you may not want to miss the Rabbit Air MinusA2. Let’s find out why in this Rabbit Air MinusA2 Review. 1, Rabbit Air BioGS 2.0 Review. Rabbit Air is not a brand for cheap air purifiers. 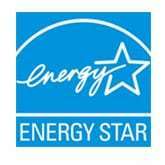 Their products are all made of the highest quality material to bring a real deal to air filtration. Moreover, Rabbit Air devices are always lookers. They’ve not just been functional and durable, but also fashionable and delicate. Other than the older Rabbit Air BioGS 2.0, the Rabbit Air MinusA2 is Rabbit Air’s most advanced big air purifier thanks to its unique and oversized design, with no identical look to the predecessors. It’s also Rabbit Air’s best air purifier. In fact, more than a year after launch it remains at the top of our best air purifiers list. It is enough said to understand why Rabbit Air MinusA2 will start at $549 for the SPA-700A and can go as high as $619 for the SPA-780N. Its price is $149 more expensive than the BioGS 2.0 at launch, push Rabbit Air MinusA2 directly to the luxury mid-range level. For the same price, you can get other Smart devices like Blueair Classic 405 and Blueair Classic 480i, or top up more money for the high-range like Honeywell HPA600B or Austin Air Allergy Machine. There is no change in the price since its launching, which encourage anyone to buy this Rabbit Air MinusA2 without the fear of value drop. The highest price point of this air purifier can even match the high-range level. The most powerful Rabbit Air MinusA2 with the popular black edition. If you are actually in need of a good air purifier, you should get this one. Rabbit Air MinusA2 has 3 main editions. The SPA-700A is the smallest one, with a smaller room coverage of 700 sq ft. The SPA-780A and the SPA-780N both have the same area coverage of 815 sq ft, but the latter also has Wifi function. There are two standard color editions of Black and White for SPA-780A/N models. You can only have the white edition for the smaller SPA-700A. Below is the White version of Rabbit Air MinusA2 SPA-780A model. Visually, Rabbit Air MinusA2 is nothing like any other Rabbit Air air purifiers, in term of design or how you interact with it everyday. It comes with a square shape, and is mainly made out of metal with good build. On the front of Rabbit Air MinusA2, we have one LED panel at the center to show if it is turned on or off. On the right side are the function buttons. My only slight annoyance is that the button is quite hard to push down. The air intake of this air purifier is around the front panel. Basically, the design of Rabbit Air MinusA2 increases the amount of polluted air it can inhale, and maximize the efficiency of the fan power. You will find the air outlet from the top of this air purifier. 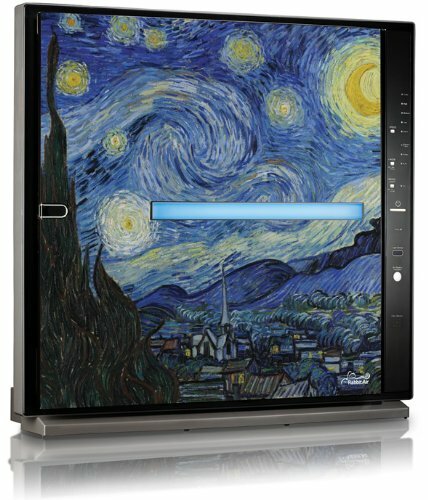 To make their Rabbit Air MinusA2 unique, Rabbit Air offers variable of artist series, from Claude Monet, Van Gogh to Hello Kitty Special Edition. It is nice to have one picture art in your home, right? Source: Amazon.com, Starry Night By Vincent Van Gogh. Rabbit Air MinusA2 could be the slimmest air purifier, with only 7 inches in depth. Though the size of Rabbit Air MinusA2 is somehow broad with 19 inches in height and 21.4 inches in width, you can easily mount it to the wall, and therefore save some precious spaces for your home. To compare with other air purifier brands like Blueair, Whirlpool or Honeywell, I prefer the design of Rabbit Air MinusA2. It is simple, but elegant. Whenever you have a change of mind to move your Rabbit Air MinusA2 to another room, this air purifier is just 19.4 lbs in weight. With the advantage of being mountable, it is safe to say Rabbit Air MinusA2 is the best air purifier to pick for any kinds of room. The most important criteria to decide one air purifier’s power is through how many filters it has and what types of air filters are used. In this Rabbit Air MinusA2 air purifier, a Six-stage air filtration works to help you remove almost any allergies and asthma problems. 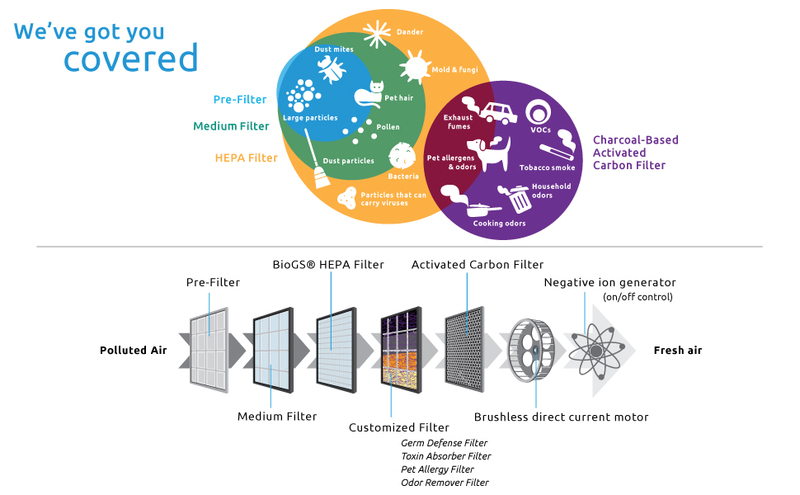 Advanced BioGS HEPA Filter – It is a True HEPA Filter that captures 99.97% of down to 0.3 microns allergens, virus particles, pollen, mold and fungi particles. Rabbit Air advances their air filter process, therefore prolong optimal filter efficiency and filter life of their HEPA Filter. 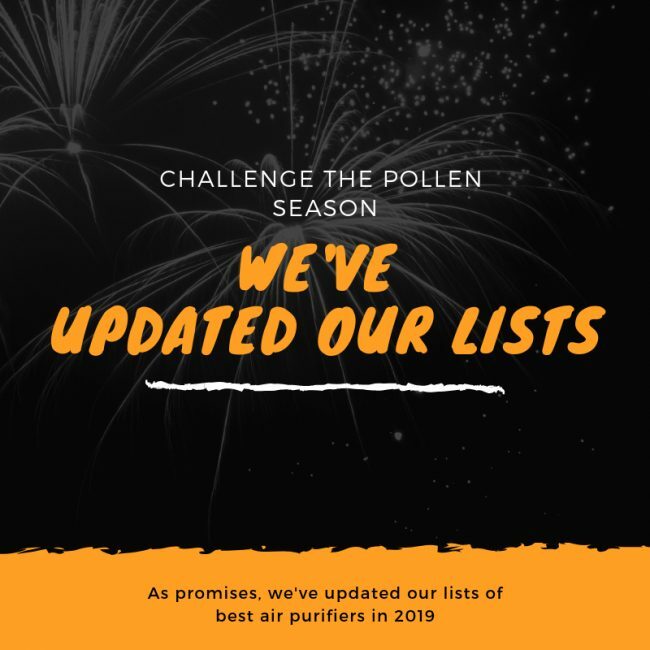 Customized Filter – Let’s you customize the product and choose from a variety of customized filters including Germ Defense, Pet Allergy, Odor Remover, or Toxin Absorber. Rabbit Air MinusA2 is proud to show the extremely powerful 6-layer air filtration. It is reasonable, because the common air purifier only makes use of 2 to a maximum of 4 filters for air purification. The air purifier could rival Rabbit Air MinusA2 in terms of the number of physical air filters is minor, with only Austin Air HealthMate Plus. With double the pre-filtration, the MinusA2’s True HEPA filter won’t need to capture as many contaminants as others, and therefore increase the durability of this precious HEPA filter. Most low-cost flagships don’t go far with their True HEPA filter. They only last for months. But note that Rabbit Air MinusA2 has longer life time due to their Advanced BioGS technology (upgrade from BioGS on previous machine models) at the heart of their True HEPA filter. This means better air filtration against any pollutants and the air purifier is now happy in up to 2 years without replacing. If you really focus on the air filters, you must admit that Rabbit Air MinusA2 is an unstoppable winner. To perfect the air filtration process, Rabbit Air invented a Customized Filter. You can tailor this air filter to fit your needs, from Germ Defense, Pet Allergy, Odor Remover, or Toxin Absorber. The last but not least, Rabbit Air MinusA2 makes use of an Ion Generator. It will stay as the last line of defense to trap any tiny pollutant particles back to the physical filters. Overall, Rabbit Air MinusA2 has a perfect 10/10 performance rating for air purification. Another problem that many consumers worry is the amount of ozone emission in Rabbit Air MinusA2 could cause asthma. However, it can be switched off easily to give zero ozone emission. Even when you turn on the Ion generator (for more cleaning power), I have recorded that the amount of ozone is about 0.002 ppm, which is 25 times less than the 0.05 ppm maximum ozone safety standard set by California Air Resource Board. However, the quality of its air filter push the cost to a whole new level with common ones. Whenever you need to change the Rabbit Air MinusA2’s filter, you need to pay from $85 for a kit of HEPA and Customized Filters. Though the cost is a bit higher than the Blueair Classic 480i‘s air filter with only $59, the MinusA2 filter can last for 2 years, with a better annual filter cost of $42.5. One thing you want to know before purchasing any air purifier is the room coverage. 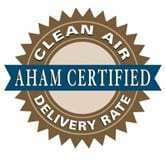 Also some terms like ACH (air changes per hour) and CADR (cleaning air delivery rate) will also come into your mind. Rabbit Air MinusA2 has two editions with different room coverage. While the SPA-780 A/N can cover up to 815 sq ft in your room, the smaller SPA-700A can only cover 700 sq ft. The ACH of Rabbit Air MinusA2 is 2X for normal residential use and up to 4X for allergy sufferer. Note that a 4X ACH translates to an air purifier can clean a room 4 times in a hour, which means this Rabbit Air MinusA2 will clean a room at least once every 15 minutes. The CADR of Rabbit Air MinusA2 is 200 Dust/ 193 Smoke/ 208 Pollen (cfm). CADR tells exactly how well an air purifier can clean the air within a particular size room. With this CADR, MinusA2 is not really good as an air purifier for 815-sq-ft room. I suggest that you should use this air purifier for a room of 300 sq ft for perfect performance. The definition of an air purifier is literally a fan with air filters. Because it is a fan, people will want to know if it is quiet or not. For this criteria, we must give Rabbit Air MinusA2 an upvote. Many air purifier brands were keen to shout out about their Quiet Mode, utilizing a thinner filter, a lower speed fan. Rabbit Air instead uses a Brushless Direct Current Motor technology that uses coiled copper wires along the outside in order to move the electric current along. If the current motor is not overheating, the fan will run very quietly. That’s why it is called Ultra Quiet Air purifier not just for commercial. In fact, with 5 fan speeds, Rabbit Air MinusA2 is virtually no sound at lowest settings. The noise level is 20.8 dBA for SPA-700 models and 25.6 dBA for SPA-780, which means SPA-700 is one of the most quiet air purifiers and SPA-780 is somehow good to no sound. One of our most FAQs is “Do air purifiers use a lot of energy?” In fact, air purifier must be used for a long time to be efficient. And power consumption is one important criteria to review if this air purifier is good or not. Below is a simple comparison graph to show exactly how efficient if you have a Rabbit Air MinusA2 in your home. The power consumption of Rabbit Air MinusA2 is just 7 to 47 watts (for SPA-700) and 7 to 61 watts (for SPA-780). This difference from the lowest to highest is due to the speed of fan settings. For an air purifier with 5 fan speeds, the maximum power consumption of 61W is really low, providing that others in same price range needs much power. The Blueair Classic 480i needs 90W to operate at the highest fan speed, or the Austin Air Allergy Machine runs at 132W. I believe that is enough to prove the Energy Star certification of this air purifier. Normally, Rabbit Air MinusA2 costs you from $17 to $25 a year for running it 8 hours per day in the highest settings. Rabbit Air MinusA2 might have a lot going on, but I found it to be highly responsive and easy to live with. The device model has the Smart Sensor on it, to have adjust the fan speed automatically based on air quality in your room. With this technology, your air purifier will be more energy-efficient and help you save energy better. Rabbit Air MinusA2 is also designed to be an air purifier for bedroom. With a light sensor, MinusA2 will automatically transition to sleep mode in a dark room. If you need some source of light in the dark, Rabbit Air MinusA2 will also provide a series of LED mood light on the front panel. To control this Rabbit Air MinusA2, you won’t need a remote control. Instead, you will use its Wifi function. With a single iOS application, you can control your Rabbit Air MinusA2 anywhere and anytime. However, one minus point is Android users will not have their own app to control MinusA2. Also, you don’t need to remember the date to replace your air filters. Rabbit Air MinusA2 has a LED life indicator to remind you. Rabbit Air MinusA2 is our top choice for the best air purifier both for its design and power. It could easily be the number one choice for people who are willing to spend as much as it takes to have the latest and greatest features. While it is a mid-range air purifier and the filter replacement cost is high as well, it is still a smart investment if you are serious in need of a good air purifier. Should I buy Rabbit Air MinusA2? Yes, if you need an absolute air filtration process against all types of airborne allergens, bacteria and viruses. This Rabbit Air MinusA2 has a decent fan power, but it is the most advanced fan technology, hence reduces the noise and power consumption. It is also a smart air purifier, and you will enjoy the modern features like Smart Sensor and Wifi capability. If you have serious allergies or asthma to airborne pollutants: the Rabbit Air Minusa2 is the best for the price you can get. If you want a better performance, or better fan power to clean your room faster: you must pay at least $100 more for the Austin Air HealthMate Plus, or the $80 more for Airpura R600. But Rabbit Air MinusA2 has lots of advantages over these machines. If you need an air purifier with a better room coverage: you could pay $20 more for the Austin Air Allergy Machine (1500 sq ft), $40 more for the Alen BreatheSmart (1100 sq ft) or $40 more for AIRMEGA 300S (1256 sq ft). If you need a budget version of this air purifier: you can select the Rabbit Air BioGS 2.0, Oransi Max or Austin Air HealthMate Plus Jr. You will save about $200 for an air purifier with near high-quality air filters as the Rabbit Air MinusA2. If you need a more silent air purifier: the Rabbit Air MinusA2 is the best air purifier for the price you can get. 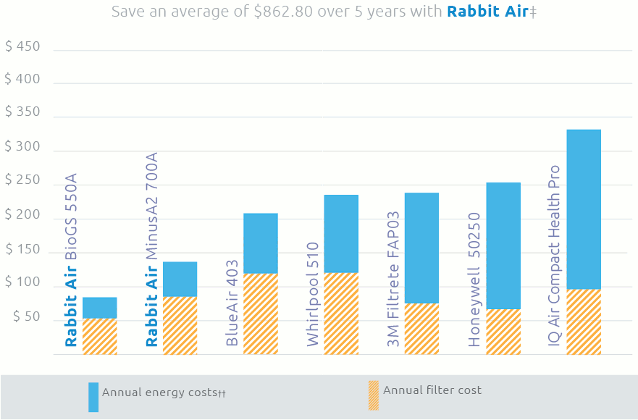 If you care about the annual filter cost and energy cost: the Rabbit Air MinusA2 is the most-saving option for you. If you love the additional features: the Rabbit Air MinusA2 is a smart device, with both Smart Sensors and Wifi capability. 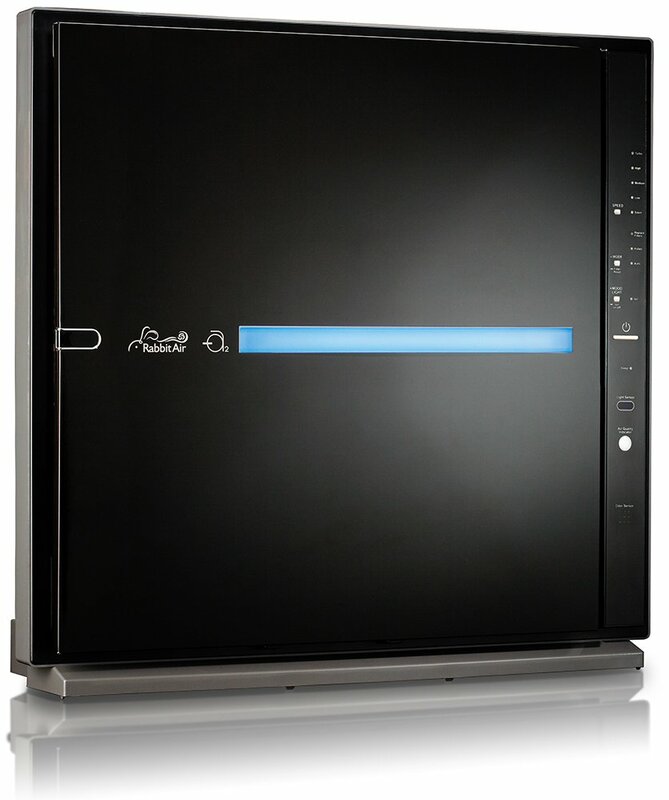 Others with these features to consider are the Blueair Classic 480i or AIRMEGA 400S. Rabbit Air MinusA2 is no doubt the best air purifier in just about every area which you could get in 2019. This air purifier manages to do everything with aplomb – it has no serious weaknesses.